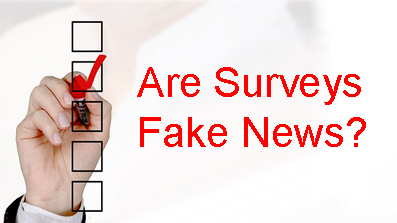 On March 7, 2019, Probe’s Senior VP Steve Cable gave a one-hour presentation drawing on his decades of statistical research and insight to probe deeply into the trustworthiness of news containing references to surveys. In this message he shows why we should remain skeptical of what surveys purportedly indicate. Sometimes the actual results are directly opposite of what is claimed. You can download the mp3 audio recording here.